SEAS researchers have developed a so-called metacorrector, a single-layer surface of nanostructures that can correct chromatic aberrations across the visible spectrum and can be incorporated into commercial optical systems, from simple lenses to high-end microscopes. 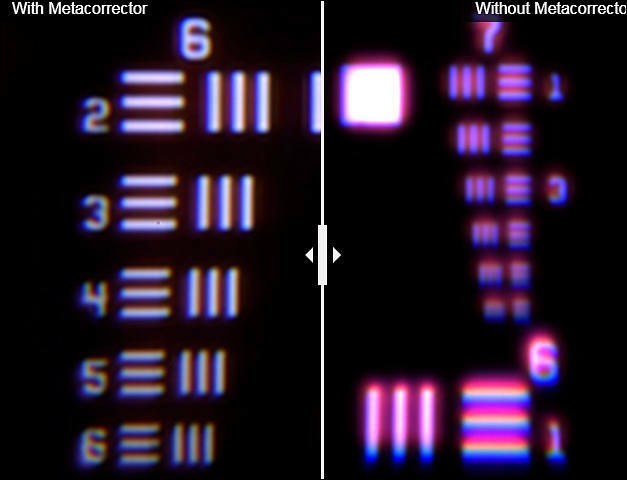 The metacorrector eliminated chromatic aberrations in a commercial lens across the entire visible light spectrum. The device also works for the super-complex objectives with as many as 14 conventional lenses, used in high-resolution microscopes.